Spokane’s annual homeless count found a slight increase in homelessness overall, with single adults continuing to trend upward. The Point in Time Count found 1,309 homeless people across the county, 64 more people than last year. The survey is done in conjunction with a U.S. Department of Housing and Urban Development survey, which gathers data on the issue nationally. Tija Danzig, the city’s Homeless Programs Manager, said the city surveyed 38 more locations and had more volunteers than it did last year, which could make it difficult to compare the Point in Time Count to previous years. Danzig said one major success they found during the count was that even despite new efforts to survey veterans, they still counted 28% fewer homeless veterans than they did since 2017. Women make up 8% of homeless veterans – a figure that has not changed dramatically in either direction over the past five years. She said the city has enough HUD housing vouchers to serve every veteran counted, which could mean veteran homelessness could be reduced to “functional zero,” meaning housing resources are available to everyone who needs and wants them. 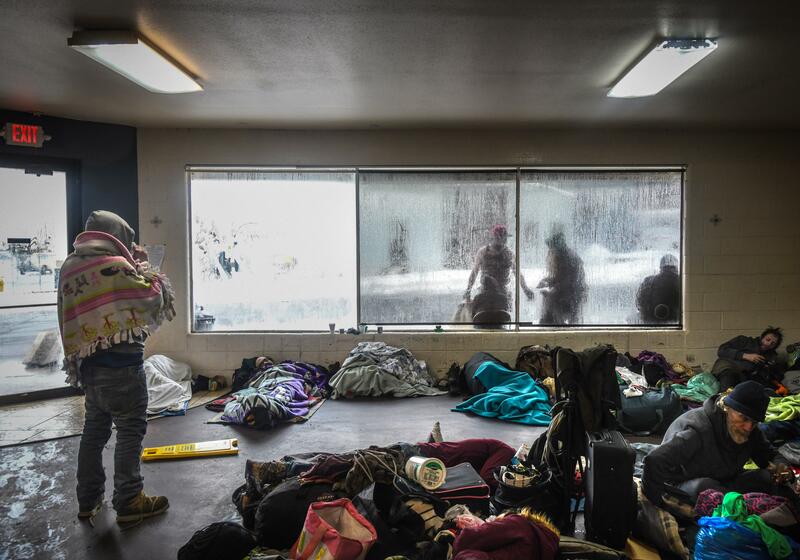 Spokane Mayor David Condon said the city and service providers have had to adapt to address the needs of the varied homeless populations they are seeing. He said officials are examining how other communities are reducing homelessness and looking for other approaches to prevent people from falling into or becoming homeless again. He said the city also is looking at approaches that fit the demographics, such as gender or age. “What works for veterans coming out of our current conflict isn’t what was working for Vietnam veterans or World War II veterans,” he said. Danzig said this year that 8% fewer families were experiencing homelessness than last year, and over the past two years there was a 21% decrease in chronic homelessness. Single adult homelessness, however, the largest category which accounted for 985 individuals, has increased by 46% over the past decade. “We’ve seen homelessness for single adults on the rise throughout the country and Spokane is mimicking that,” she said. She said the city has taken a targeted approach to new homeless investments and is working on opening a new shelter that would serve single adults. Single adults who are homeless are more likely to be in an emergency shelter, or not be sheltered at all, than families, according to the count. About 30% of adults are unsheltered, almost half of whom are sleeping on streets or sidewalks, while 25% are living in vehicles and 11% are camping. Only 8% of single adults who are homeless are staying in transitional housing, a program a homeless person or family can stay in for up to two years while seeking stability and accessing programs until they can move into permanent housing. The total number of people staying in emergency shelters has gone up for several years, while the number of people staying in transitional housing has decreased from a high of 624 in 2011 to 214 this year. She said she hopes the city’s EnVision Center, which is a multiservice center where people can access job, housing and medical services that opens Tuesday, will connect people on the brink of homelessness to resources they need. She said 30% of people counted were experiencing homelessness for the first time, and a center that offers them preventive measures may stop people from entering the system all together. “We don’t want people to experience it for the first time, we want to try to prevent homelessness in the first place,” she said. The city is planning a public presentation of the Point in Time Count results at 10:30 a.m. April 18 at Spokane City Hall.